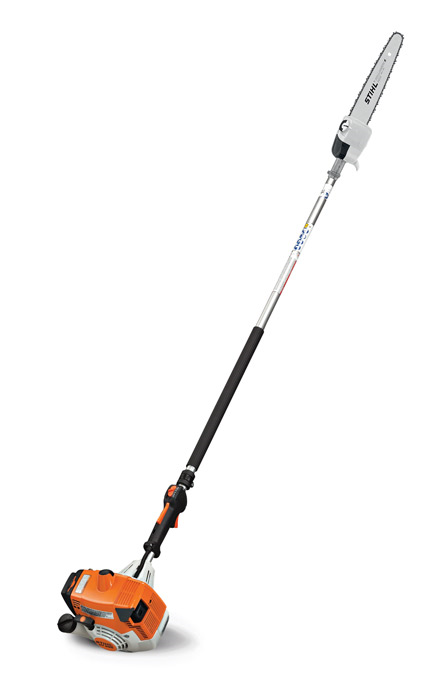 The HT 250 Pole Pruner combines the power of STIHL engine technology with smart design. This 7' fixed-length pruner is equipped with a large displacement engine, providing ample power for tough pruning applications. Its gearbox is lighter, allowing for greater control and less fatigue. The HT 250 is great for forestry and arboriculture pruning, as well as nursery and orchard applications. Features of the HT 250 include the IntelliCarb™ compensating carburetor, designed to maintain an optimal fuel-to-air ratio even as the filter becomes dirty. An inside (left-hand) guide bar and chain mounting system allows for a better view of cutting. It's the top choice for professionals who need to cut top branches.